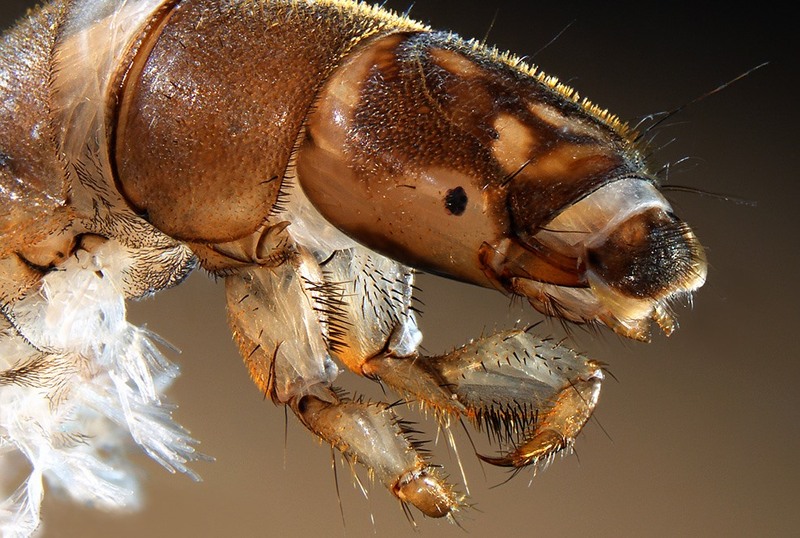 Below, a selection of images from the Nikon International Small World Photomicrography Competition. "The competition began in 1974 as a means to recognize and applaud the efforts of those involved with photography through the light microscope. Peering into the small worlds of animal, plants and minerals using many techniques and different instruments, this year's entries brought us images of crystalline formations, fluorescent body parts, cellular structures and more, valuable for both their beauty and insight." P.S. Like what you see? Then check this out: Zoom-in, via video. Hydropsyche angustipennis (caddisfly) larva head. 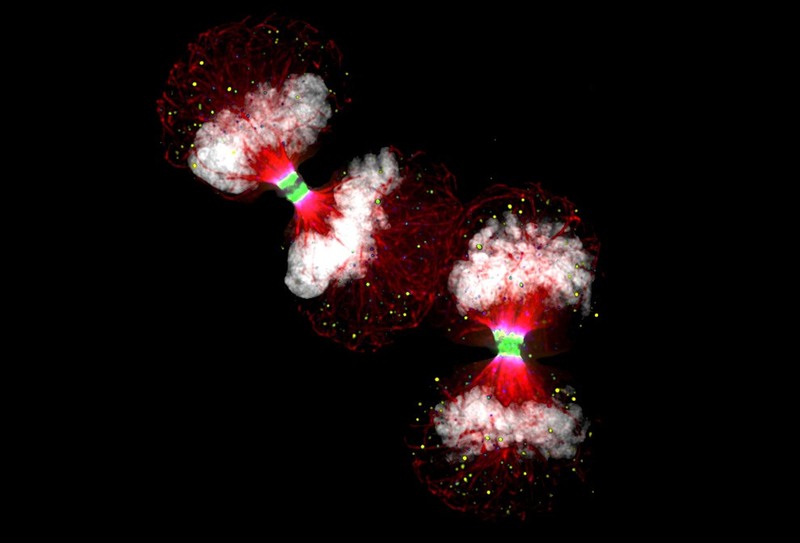 Two human cancer cells seen just before they divide into four cells, viewed at 100x magnification. 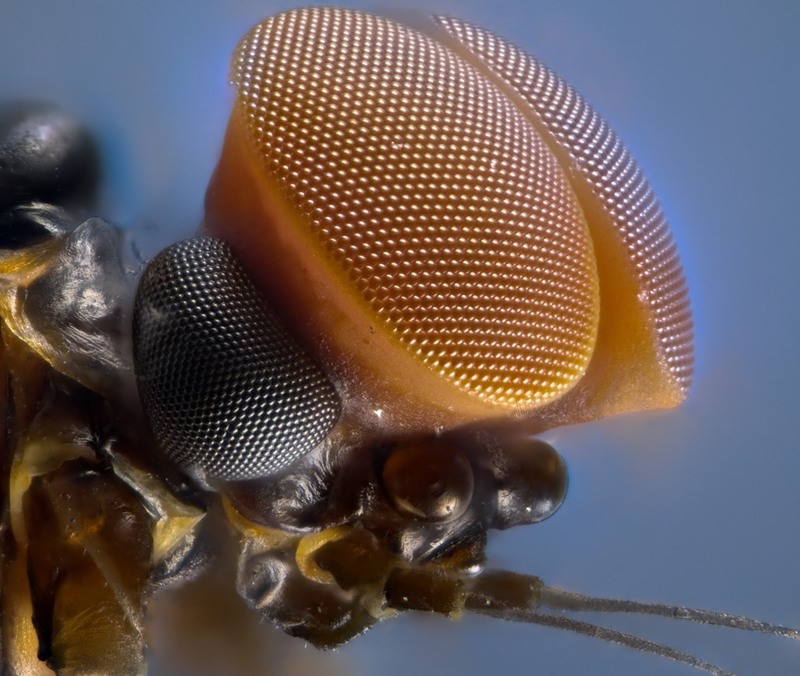 The turbinate eyes of male mayfly magnified 10 times. 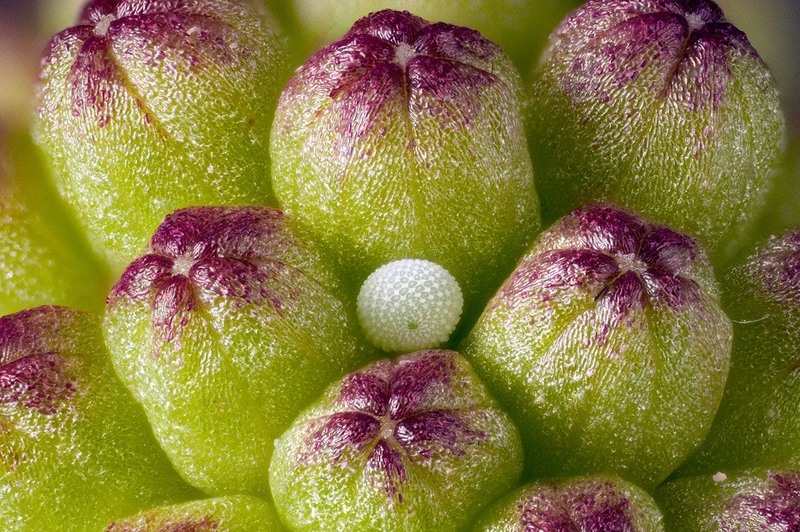 A single egg from a Hemiargus isola (Reakirt's blue butterfly) rests on Mimosa strigillosa (pink powderpuff) buds, viewed at 6x magnification. 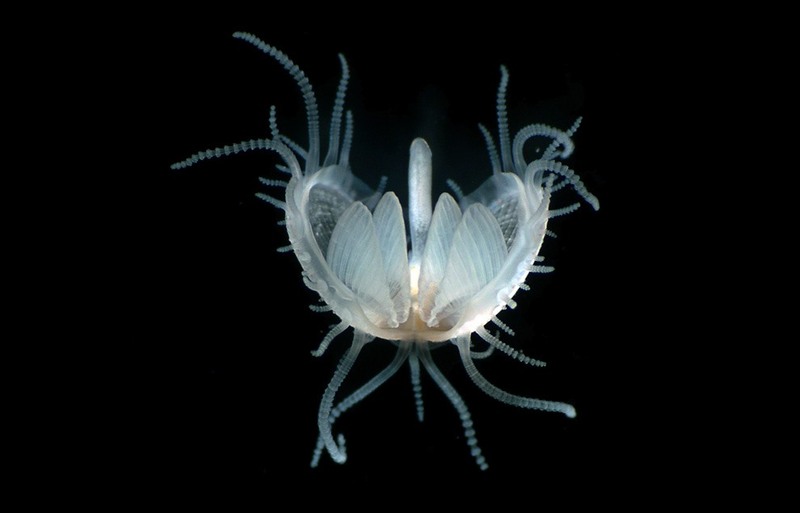 Dr. Gregory Rouse took 12th Place with this darkfield image of a juvenile bivalve mollusc, (Lima sp. ), magnified 10 times. 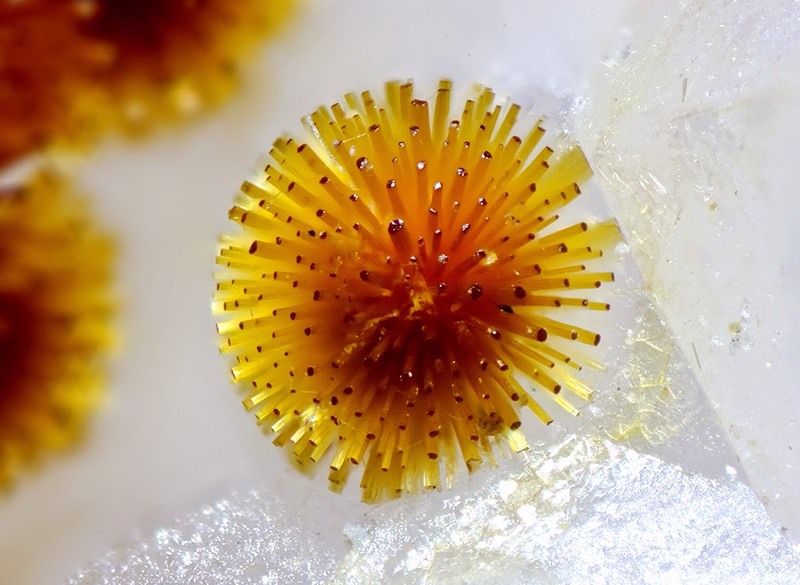 A radial crystal spray of a phosphate mineral called cacoxenite viewed at at 18x magnification. 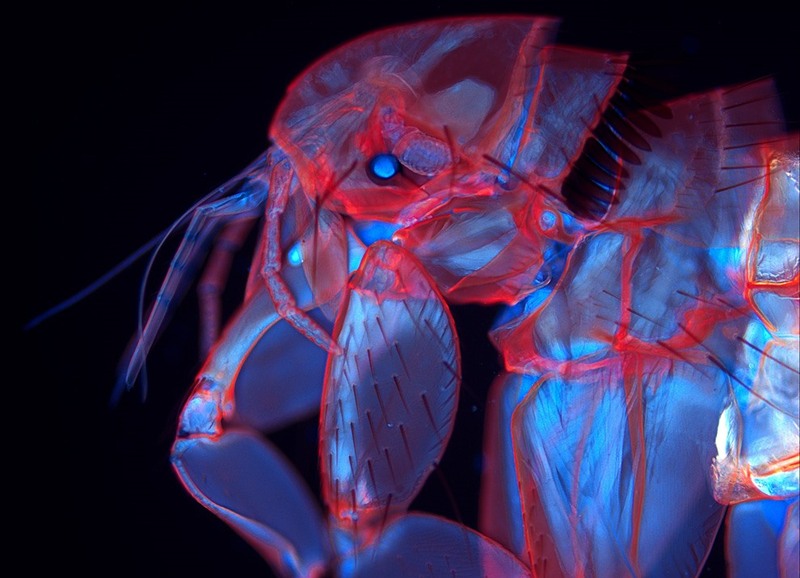 A flourescent image of Ctenocephalides canis (flea), viewed at 20x magnification. 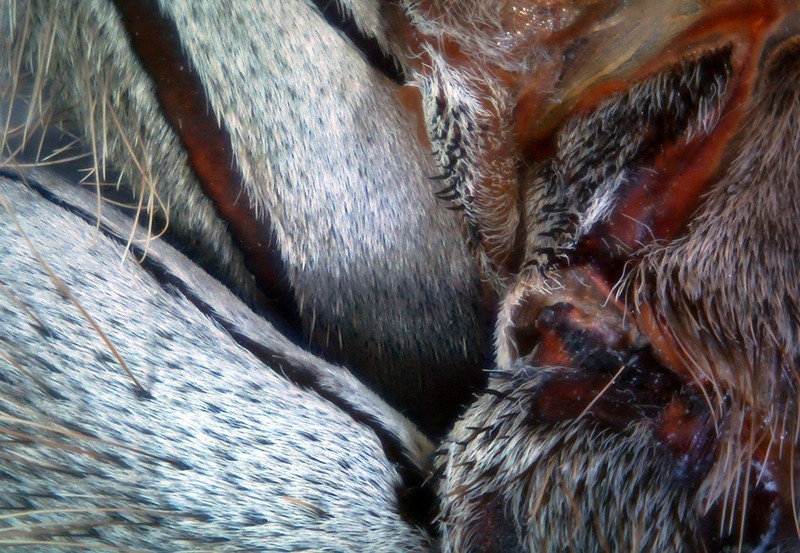 A close-in view of the basal leg segments of a Heteroscodra maculata (ornamental baboon tarantula) magnified 40 times. 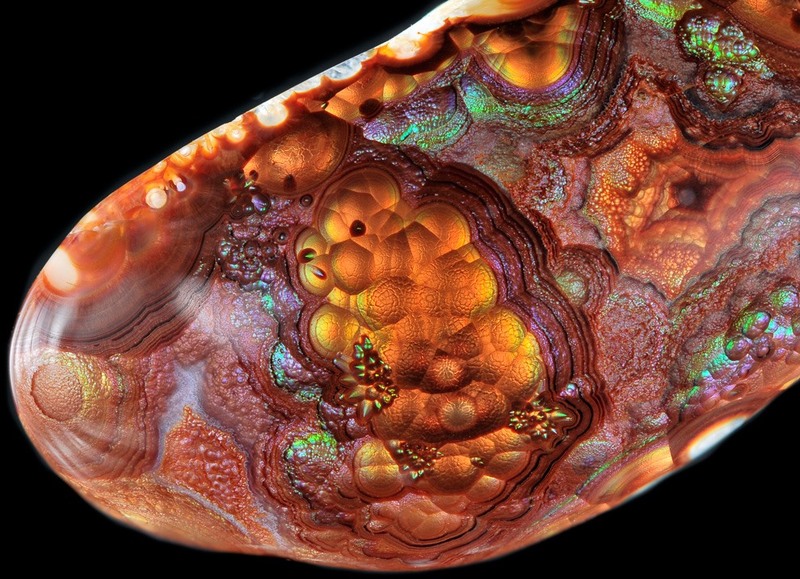 A polished piece of Mexican fire agate, viewed at a magnification of 4x.